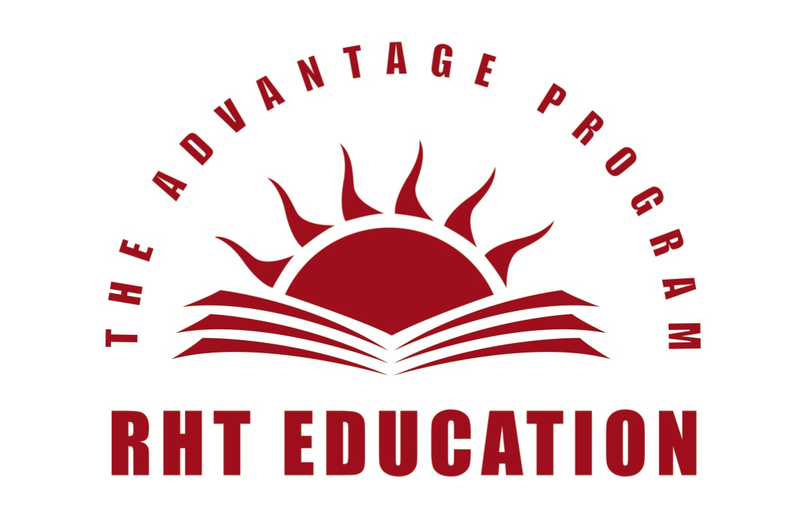 RHT runs the Advantage Program 3 times a year. 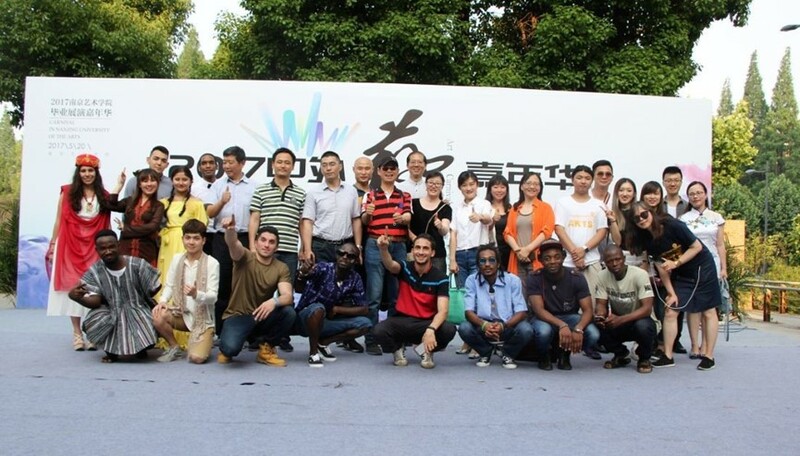 From all over the world students come to visit Jiangsu. 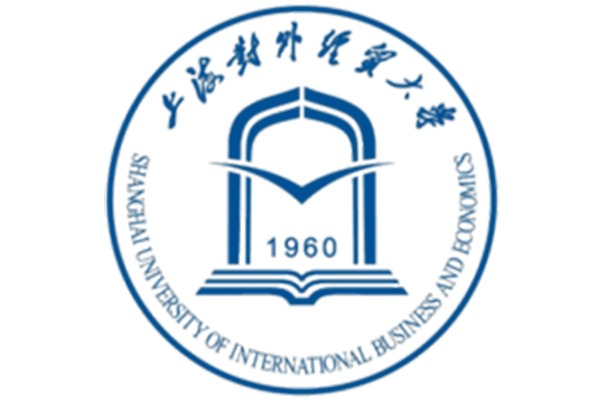 It is an eye-opening experience for them in their exploration of Chinese higher education opportunities. From sampling exotic cuisine to visiting a diverse range of universities and the corporate giants that drive China’s economy, every day is jammed packed with activities. For the full list of upcoming and concluded Advantage Programs, click here. On the 27th November 2017, Charlie Meo joined computer game manufacturer ‘Adia’ on a business development internship. 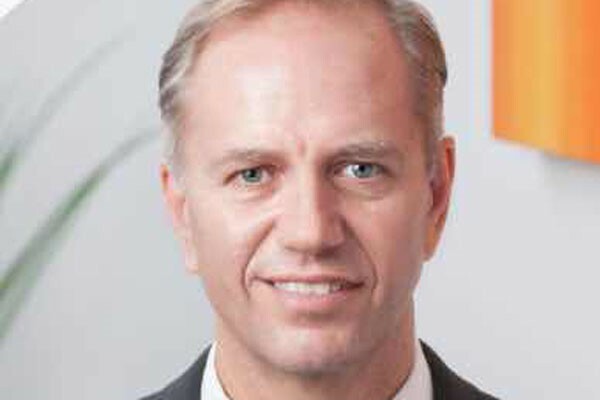 The placement is RHT Education’s first with the high-end CGI specialist and both parties are looking forward to further cooperation in the future. 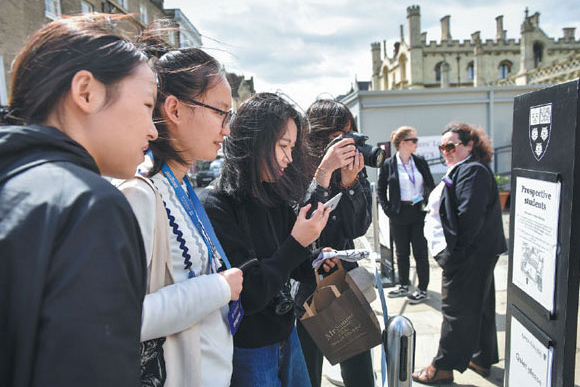 A growing number of families are sending children on study tours in foreign countries, as Zhao Xinying reports. 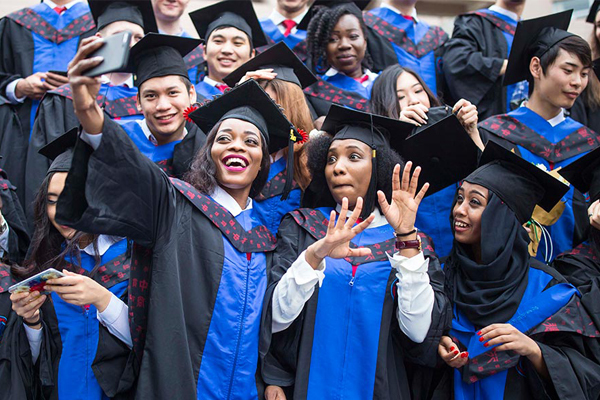 SHANGHAI -- China remained the overseas country with most students in US universities in 2016-2017 academic year, according to the US Consulate General Shanghai. 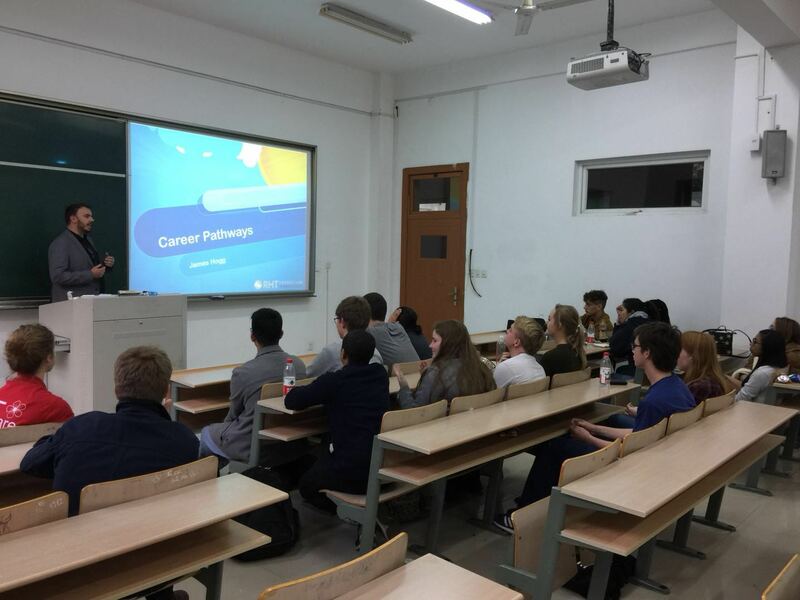 On 25th October 2017 James Hogg, RHT Education Business Development Manager, addressed students from Nanjing University of Finance and Economics. In his speech he gave advice on choosing a career and setting up their pathway to attaining it. He also spoke on the benefits of completing an internship in China and how it will prepare them for the future. 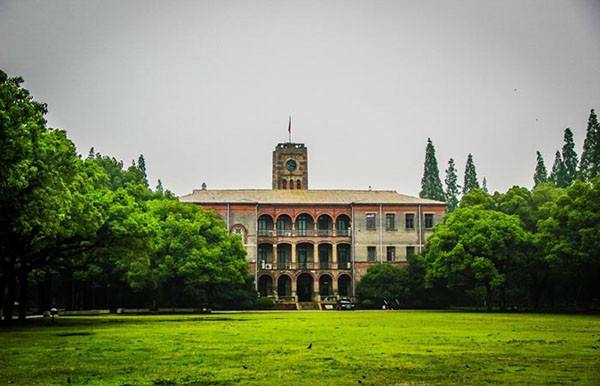 SHANGHAI -- A Shanghai university has opened China's first international negotiations school to train the country's future trade negotiators. 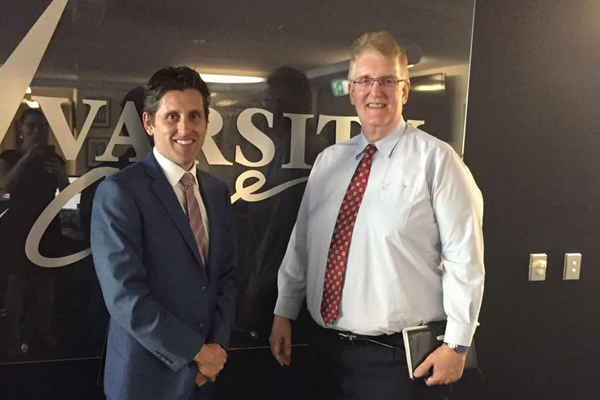 On October 10th 2017, RHT Vice-President Rob Cochrane met with Varsity College Principal Steve McCluckie. During the meeting they discussed the Advantage Program and Year 10 Immersion Program. Varsity is Queensland's premier state school for Chinese language instruction and has colloborated with RHT on the the Advantage Program previously. 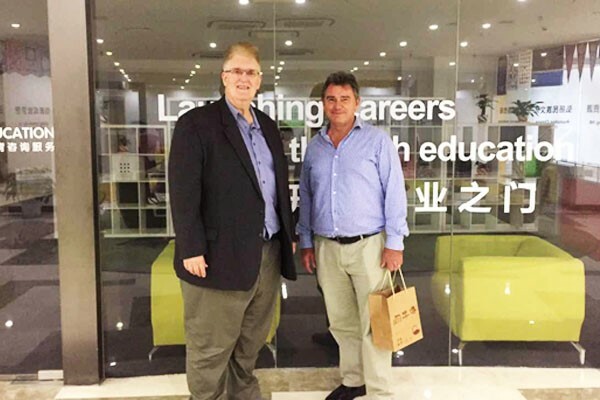 RHT met with our Australian partners, the Queensland Education Leadership Institute (QELi) a unit of the Queensland Government, to finalise the teachers' professional development program between Nanjing University and Griffiths University. 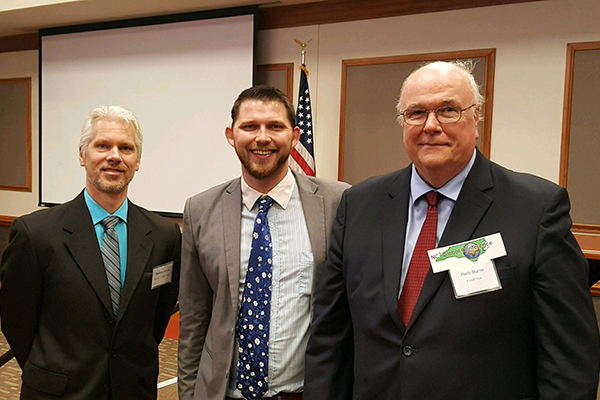 RHT Education invited to participate in the inaugural North Carolina Community College Global Conference (NC3GC). The mission of the North Carolina Community College Global Conference (NC3GC) is to enhance international education at the community college level through collaboration; to share international resources and activities fostering global innovation; and to create opportunities for students, faculty, and staff to engage in new academic and cultural experiences. 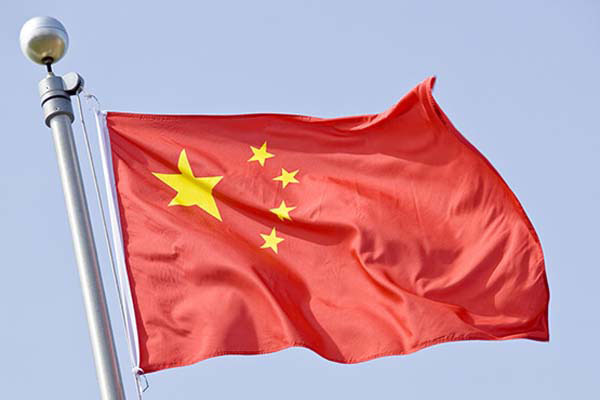 BEIJING - Chinese authorities Thursday initiated a project that aims to elevate 42 of the country's higher education institutions to a world-class level. 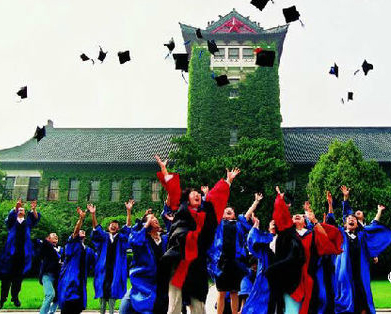 Five universities from the Chinese mainland have been ranked among the world's top 50 universities for student employability. 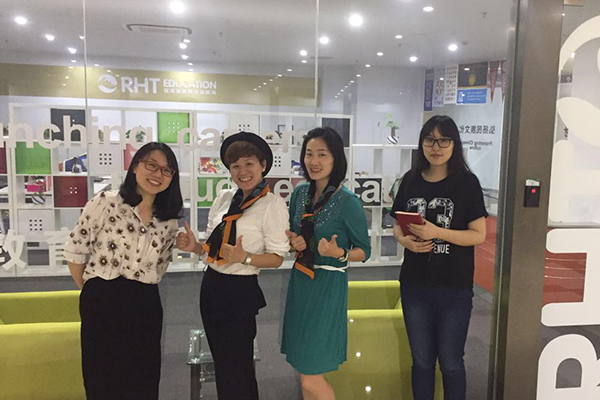 On September 7th RHT Education welcomed Brodie Hattin to its offices in Nanjing. 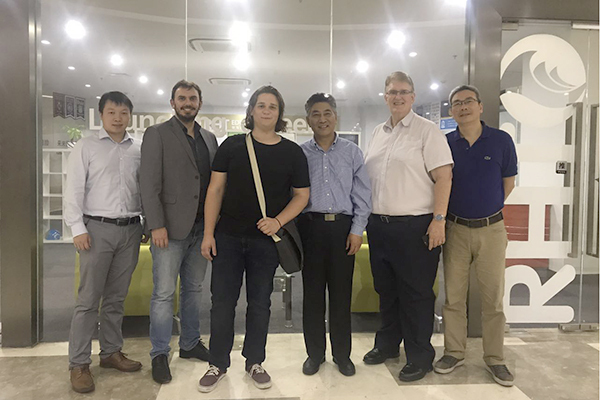 Brodie is the first student RHT has brought to China on its Study in China program, and is now enrolled at Nanjing University of the Arts studying music. 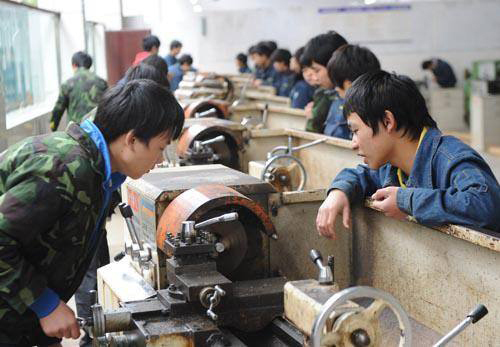 BEIJING -- The Ministry of Education (MOE) Wednesday announced China now has a total of 12,300 vocational schools with over 26.8 million enrolled students, highlighting the importance of the education system. 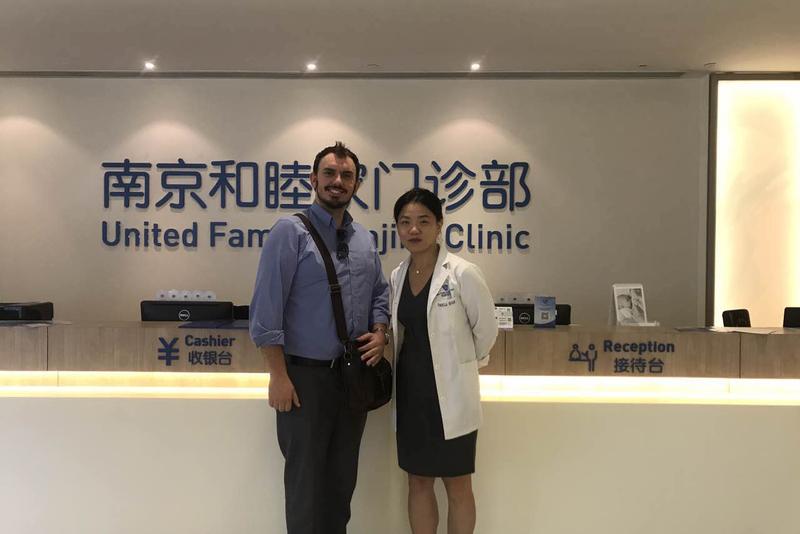 RHT Business Development Manager James Hogg met with representatives from United Family Health Nanjing Clinic today. 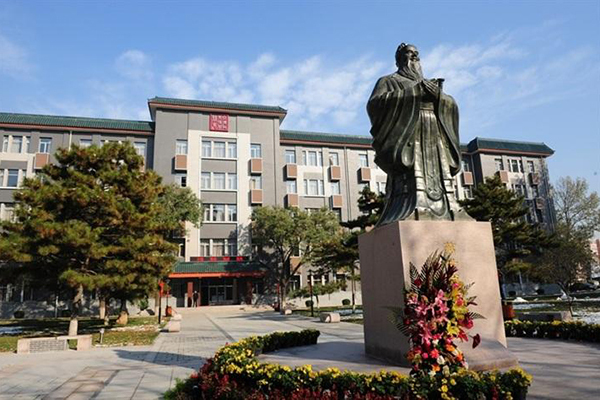 More Chinese mainland universities than ever before have been ranked among the world's top 500 universities in terms of research capabilities this year. 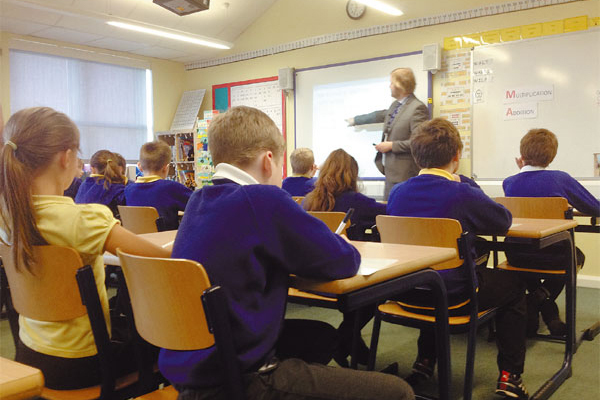 Students in some parts of the United Kingdom will use the same math textbooks pupils in Shanghai use from September. 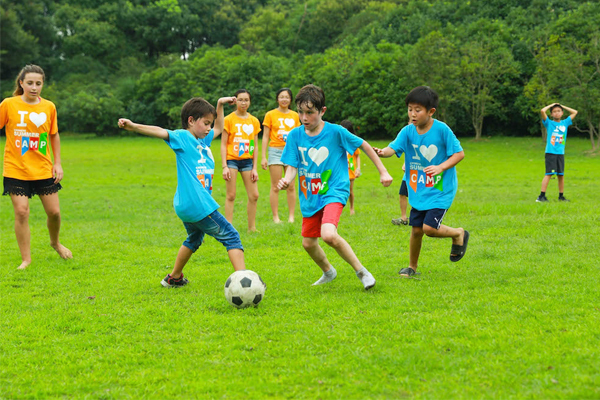 When Chinese parents first sent their children to the UK for summer camps and courses, the kids stayed with host families and attended standard language schools. 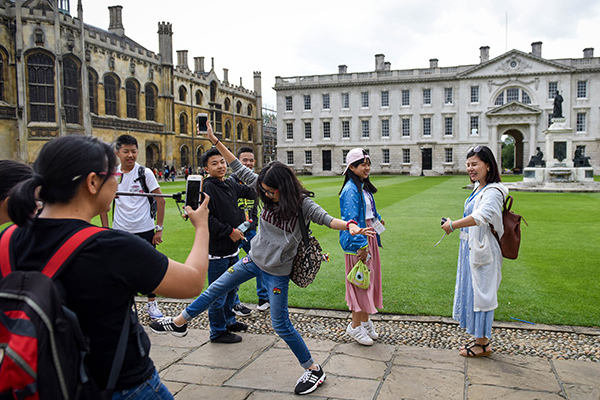 Now, some of the UK's most celebrated private schools are competing to attract Chinese children to their summer programs. The boom of summer tutoring programs has spread fiercely, consuming the time and money of parents and students. 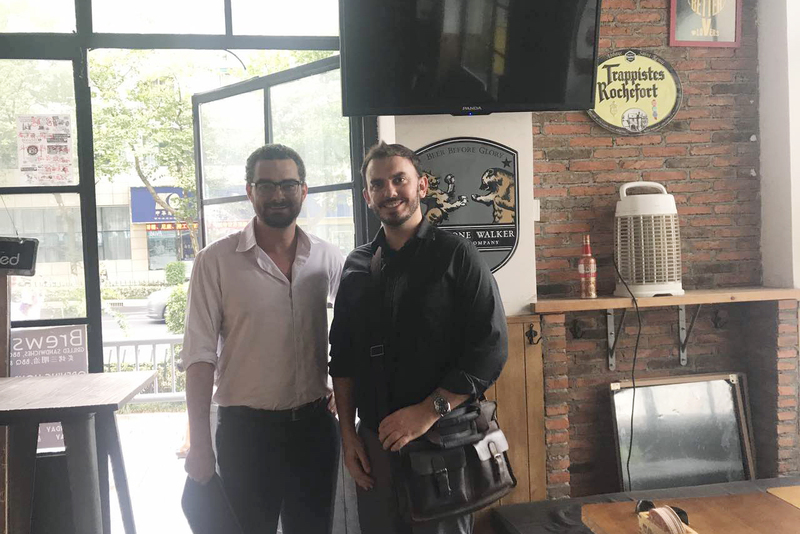 On August 3rd 2017 RHT Education’s Business Development Manager James Hogg met up with the Australian Chamber of Commerce Shanghai’s Bede Payne. 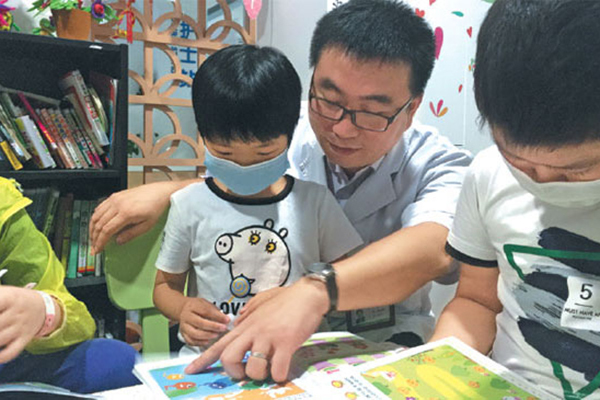 A hospital ward in Shanghai that cares for children with leukemia has become the first in the city to provide regular classes taught by schoolteachers. 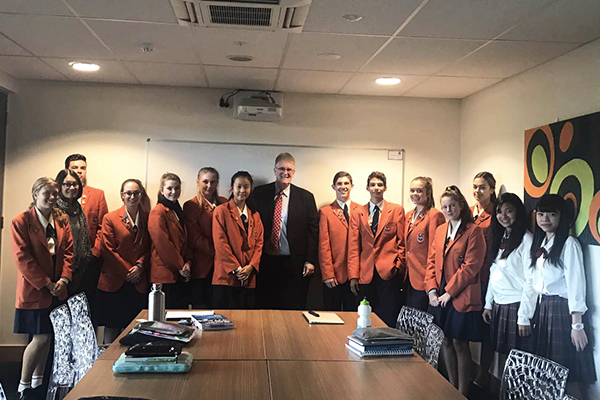 On July 24th 2017 RHT Vice-President Rob Cochrane visited Saint Stephen’s College in Queensland and met with students. 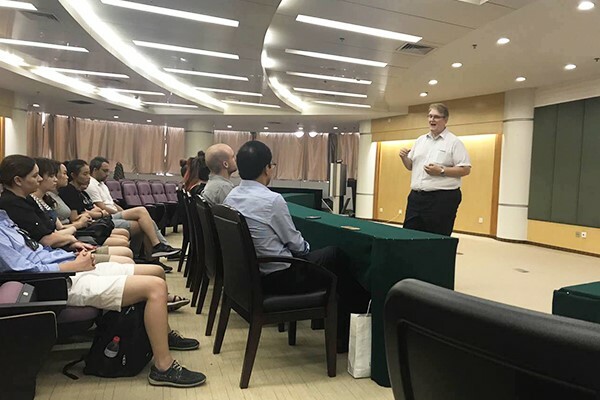 During the meeting Rob discussed the Advantage Program in the context of Chinese modernization and a global philosophy with the Year 11 students. 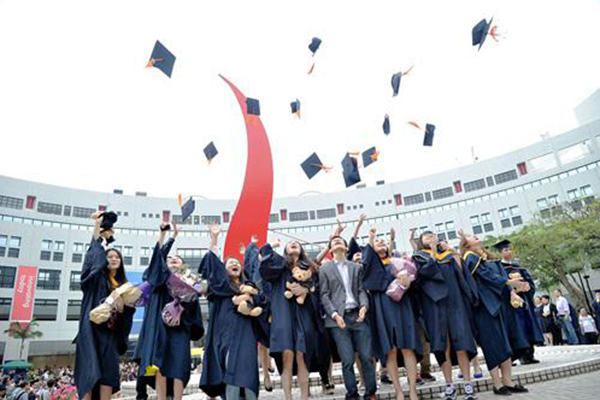 China now attracts the largest number of overseas students in Asia. In 2016, the number was 440,000, four times than that from a decade earlier, of which nearly 30,000 are in Guangdong province. Now that graduation season has come to an end, many foreign students aim to stay in Guangzhou, and Emefa from the Republic of Togo is one of them. 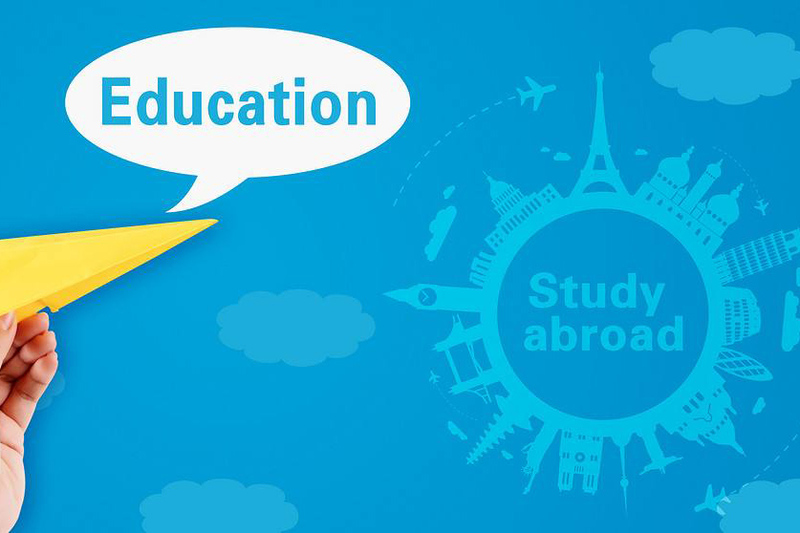 Parents in China are willing to spend $100,000 on their children's higher education abroad, according to The Value of Education: Higher and Higher report by HSBC. Sixty percent are expected to spend on their children's undergraduate education and the other forty percent on postgraduate education. 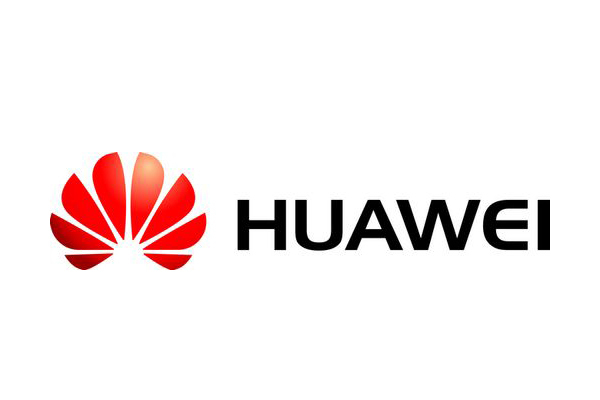 MELBOURNE, July 18 (Xinhua) -- Fifteen students from a top Australian information technology (IT) university will travel to China to learn at Huawei Technologies for three weeks, it was announced on Tuesday. Increasing investment in and quantities of online videos, and developing the professional competence of video producers, is of urgent importance, said a media expert on July 11 at an internet conference. After farewell lunch on July 10th 2017, students and teachers departed from Nanjing Lukou International Airport having successfully completed the Advantage Program. 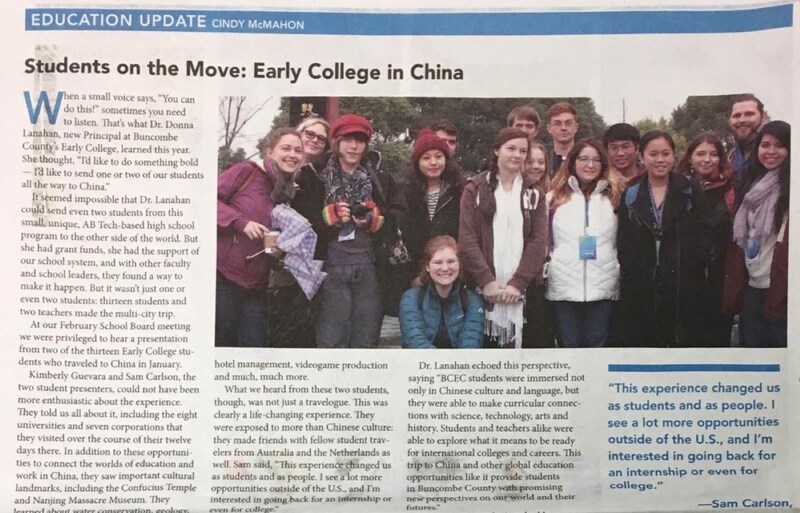 After spending the last 2 weeks visiting Chinese universities, touring global companies, and exploring cultural hotspots, the students leave with a better understanding of what China can offer them in education and their future careers. 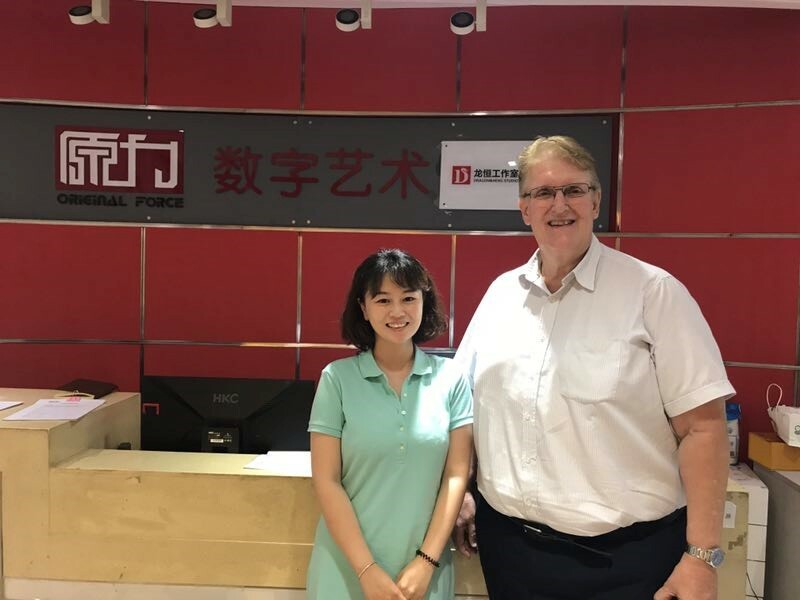 On 6 July 2017, Rob Cochrane, Vice-President of RHT Education met with Zoe Guo of Original Force, the Computer Animation Powerhouse in Nanjing. The meeting was mainly about developing 1+3 degree programs with oversea universities. On 5 July 2017, RHT Education’s Vice-President Rob Cochrane addressed Swinburne University delegation at Jiangning Economic Development Zone. Rob briefly introduced Jiangning, a fast-developing district of Nanjing and several processing programs of RHT. 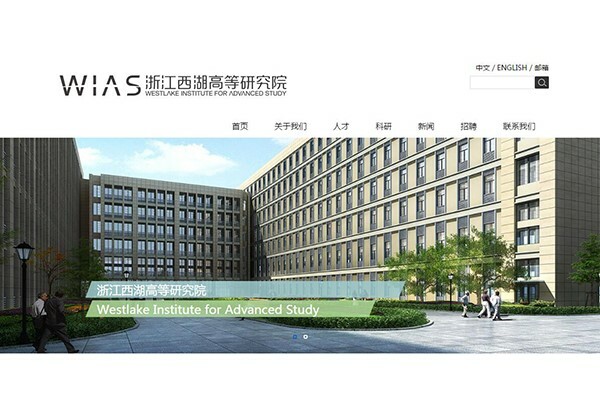 On the morning of June 28, over 30 applicants from the United States, the United Kingdom, Canada, Australia, Singapore, and Israel came to Zhejiang’s Hangzhou to compete for positions in the Westlake Institute for Advanced Study (WIAS), the first private research institute for advanced science and technology in China. 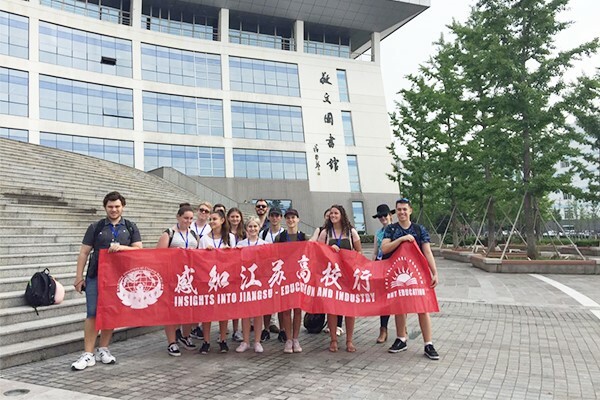 On Monday 26th June students from Australia arrived in Nanjing to participate in RHT Education's Advantage Program. 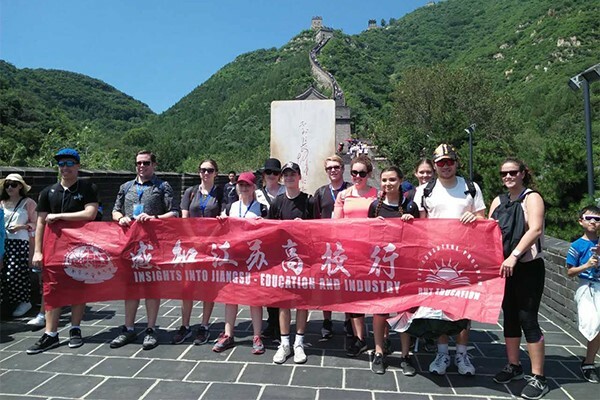 The students, representing Palm Beach Currumbin and Saint Stephens high schools, will spend the next 11 days exploring Jiangsu and discovering what universities and companies can offer them in pursuit of their ideal career. 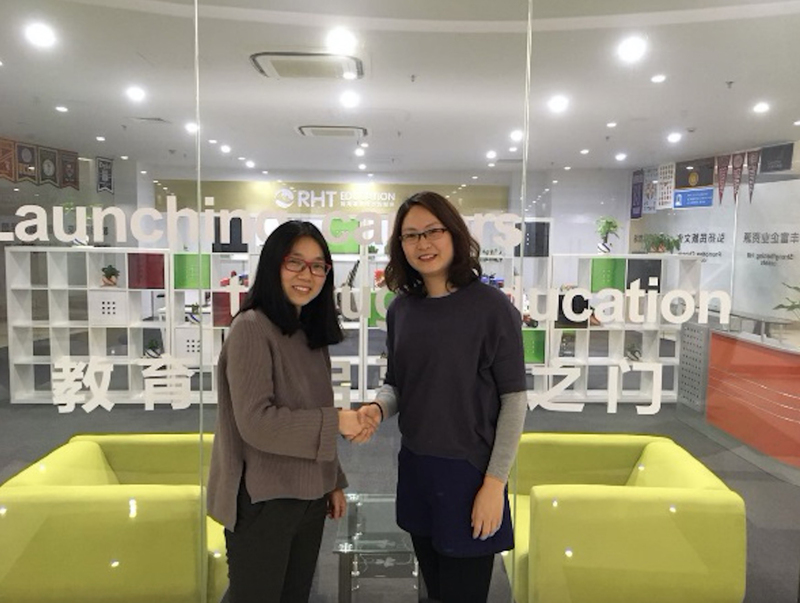 On June 21 2017, Rachel Xing and Anmi Chen, representatives of Happy Koala Tour Company met with RHT Education to discuss further cooperation on two planned study and travel programs. China's education authority pledged to keep improving the accessibility for students with disabilities to taking exams after five visually impaired students took the national college English test for the first time on Saturday. 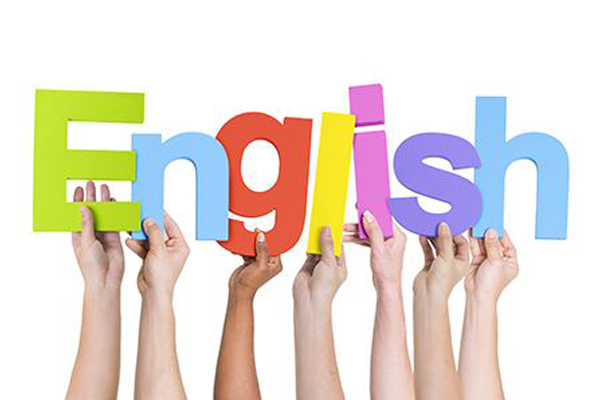 Xing Xiaoxing, an information technology professional in Tianjin, has spent the past year developing Tianjin English Club, a university-based nonprofit organization. 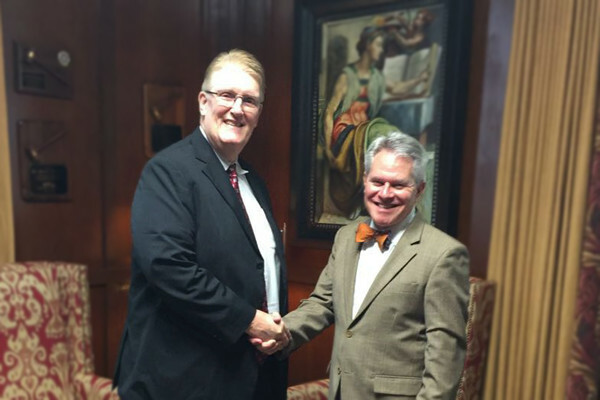 On June 6, Rob Cochrane, Vice-President of RHT Education, met with Jimmie Williamson, President of the North Carolina Community Colleges System. During the meeting both parties presented their aims and discussed further cooperation, including on a wide variety of collaborative models. 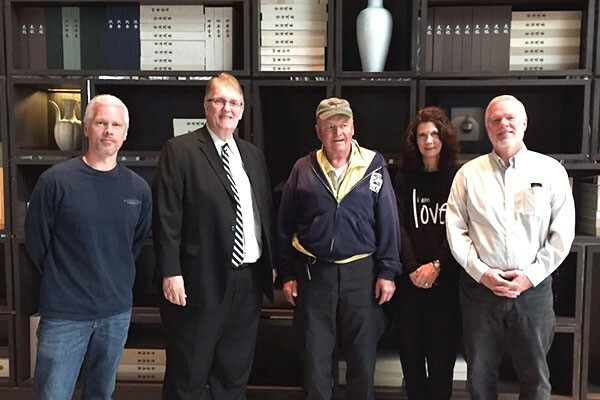 Based in Raleigh, North Carolina Community Colleges System leads all of the vocational colleges in the state and RHT Education looks forward to greater cooperation going forward. 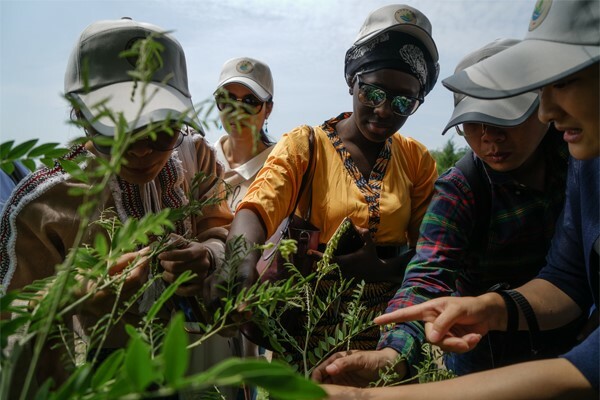 On June 4, oversea students studying in China Pharmaceutical University and Nanjing University of Chinese Medicine learned to identify different herbs under the guidance of Professor Wei Gu ( third on the left of the picture) from Nanjing University of Chinese Medicine. 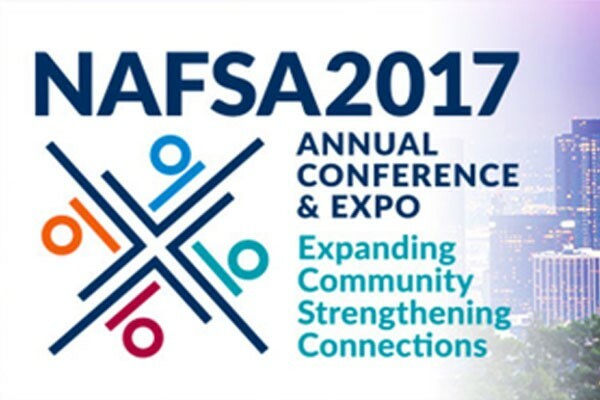 On June 1 2017, RHT Education Vice- President Rob Cochran attended NAFSA, the worlds largest student travel and study abroad conference in LA. This year NAFSA gathered over 11,000 attendees and 500 exhibitors from 104 countries. Attendees networked, participated in various workshops and kept themselves up to date with the latest trends in international education. 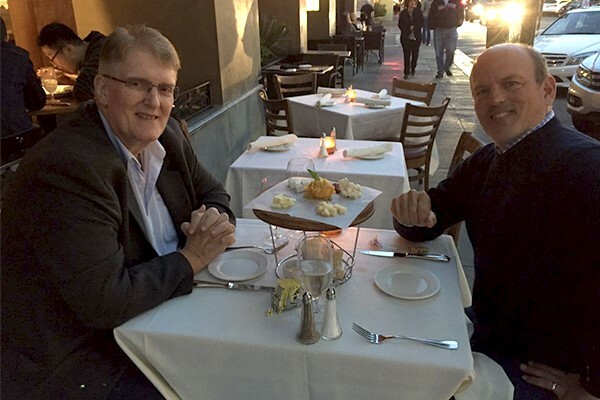 On May 27th 2017 RHT Vice-President Rob Cochrane met with the Director of Stanford University summer programs Rick Sommer. During the meeting they discussed cooperation between RHT and Stanford, specifically the short courses they will run together in 2018. 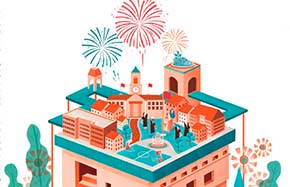 On the 20th May Nanjing University of the Arts (NUA) held its second Art Carnival. NUA students showed off their skills and technique in this colorful cultural exhibition. 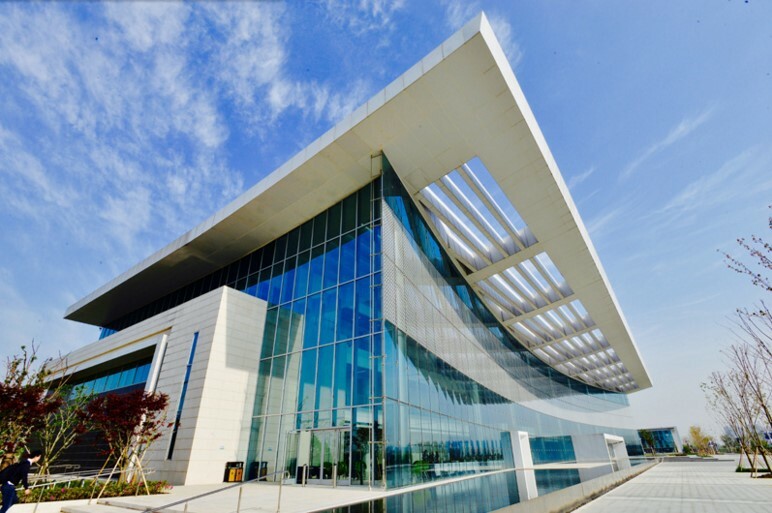 Duke Kunshan University in China's Jiangsu province will welcome the first students in its undergraduate degree program starting August 2018. 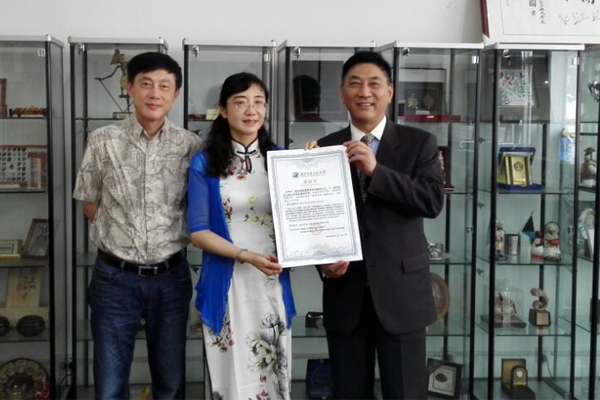 On May 13th 2017 Nanjing University of Information Science and Technology’s Dean of the School of International Education Wang Suchun signed an agreement with RHT Education President Sun Haiming. 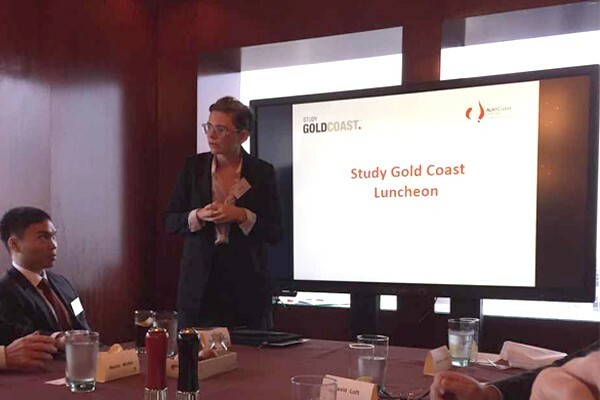 On May 12 2017, RHT’s Vice-President Rob Cochrane participated in the AustCham luncheon for the Gold Coast delegation. Gold Coast Mayor Tom Tate and the Chairman of Study Gold Coast Rob Borbridge, formerly Queensland Premier, also attended the lunch and discussed a wide range of education topics. 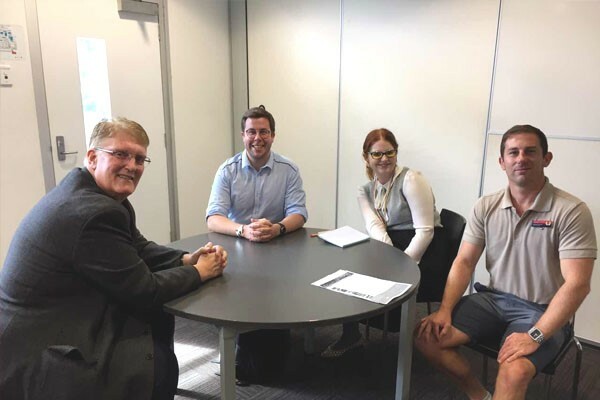 On May 5 2017, RHT’s Vice-President Rob Cochrane visited Palm Beach Currumbin state high-school to meet with teachers Paul Burckhart, Kirrin Timbs and Andrew Griffin. 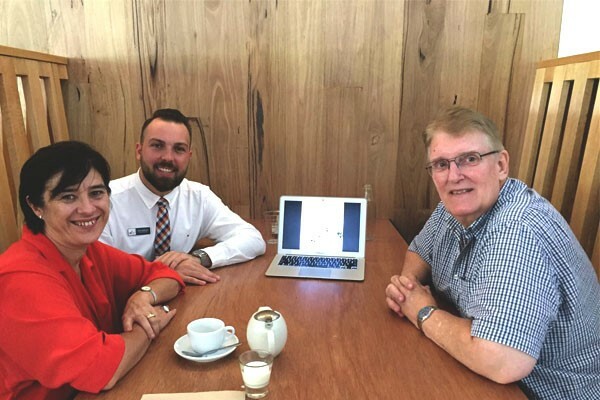 On May 4, RHT’s Vice-President Rob Cochrane had a meeting with RHT Australia's Lyn McKenzie and Varsity College's Director of Studies Tom Sullivan. 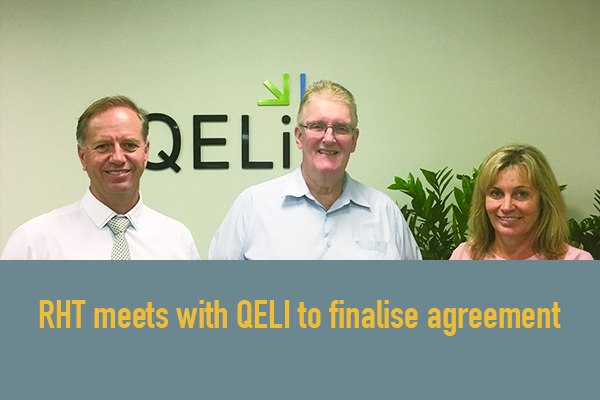 On May 3 2017, Rob Cochrane, RHT Vice-President, met with Neil McDonald, Executive Director of the Queensland Educational Leadership Institute (QELi). 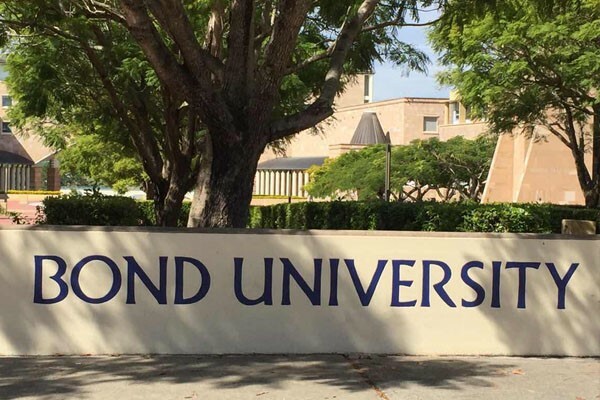 On May 2 2017 Rob Cochrane, Vice-President of RHT Education, had a meeting with Aiko Fujino, manager of Bond University’s International Career Development Department. 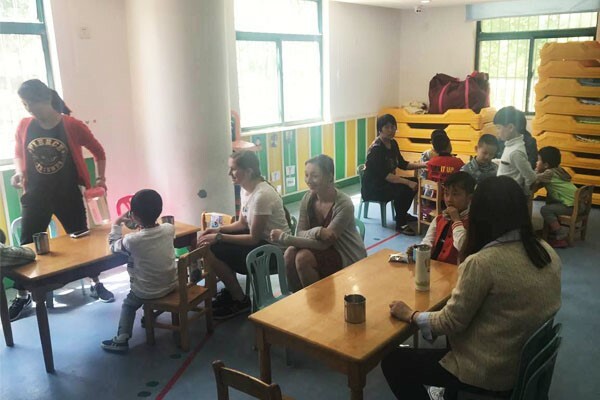 On Saturday April 22nd, four Dutch students arrived in Nanjing from one of RHT Education’s partner schools Wolfert van Borselen in the Netherlands. 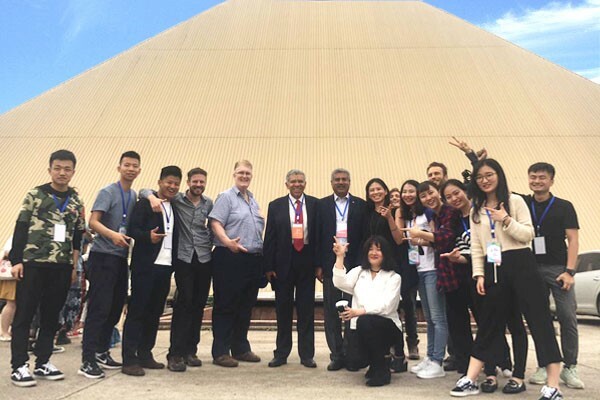 On Tuesday April 16 Rob Cochrane, Vice-President of RHT Education, met Dhirendra Bhatnagar, President of World Federation of UNESCO Clubs, Centres & Associations, at the World Youth Meeting of the Chinese National Belt & Road Project in Changsha. On April 15th 2017 Jamie Dorrington, principal of St. Stephens College (Gold Coast) visited RHT and discussed the next round of the Advantage Program. 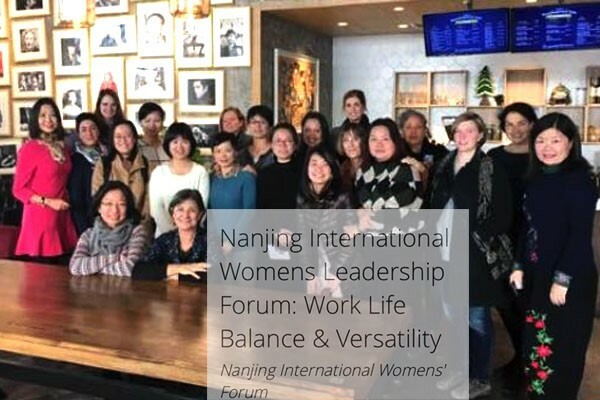 On 14th April, RHT Education administration manager, Sara Sheng was invited by the American Chamber of Commerce to join the Nanjing International Women’s Leadership Forum. The topics of discussion were the best practices to maintain a positive work/life balance, and versatility in life. China's top education authority signed memorandums of understanding in Beijing on Tuesday with several provinces and regions of the country to facilitate their educational cooperation with countries along the Belt and Road Initiative. 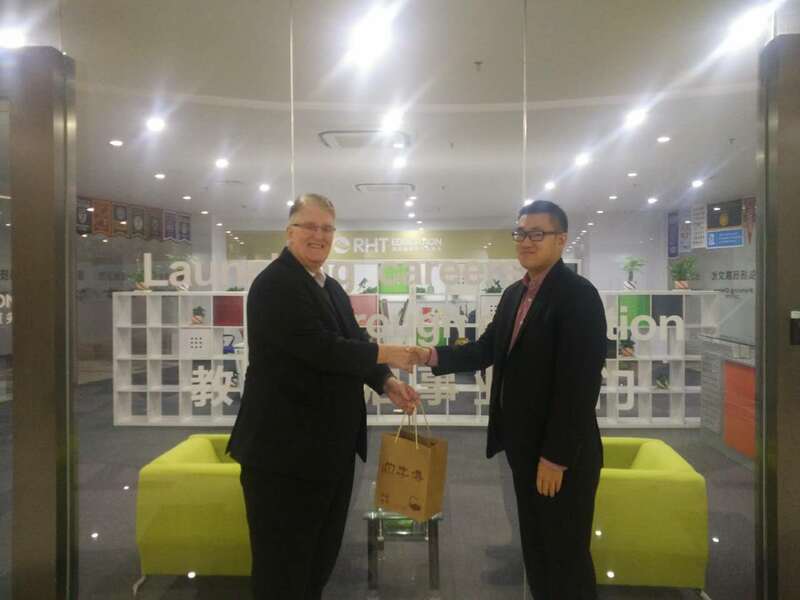 On April 7th 2017 Michael Kleidon, Principal of Luther College of Melbourne, met with Rob Cochrane, Vice-President of RHT Education, to discuss sending students on the Advantage Program in Summer 2017. 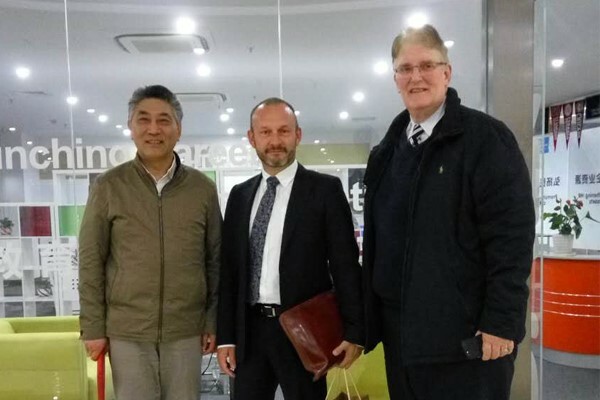 David Coltman, Deputy Vice –Chancellor of Swinburne University of Technology, visited RHT Educations offices in Nanjing today and met with President Sun Haiming and Vice-President Rob Cochrane. 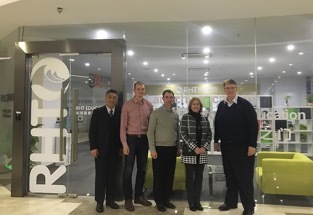 On March 29th 2017 Rob Cochrane (RHT Vice President) met with Matt Meyer (NC Community College Systems), Mike Mullen (Vice Chancellor NC State U), Robyn Bergeron-Nolan (Director Guilford Schools), Mebane Rash (CEO NC Education) and Fran Nolan (President Spartina Group) in Beijing. 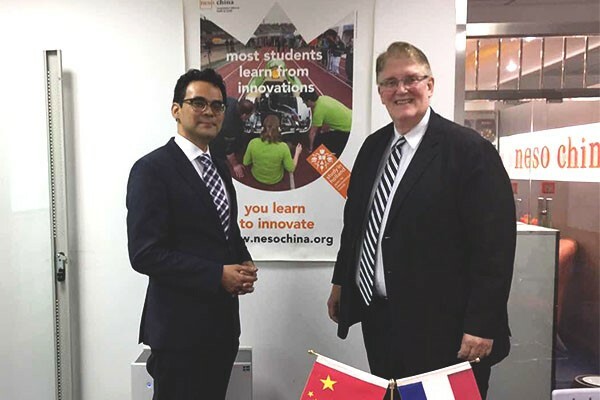 On March 29th 2017 RHT Vice President Rob Cochrane met the Director of Netherlands Education Support Charles Hoedt in Beijing. 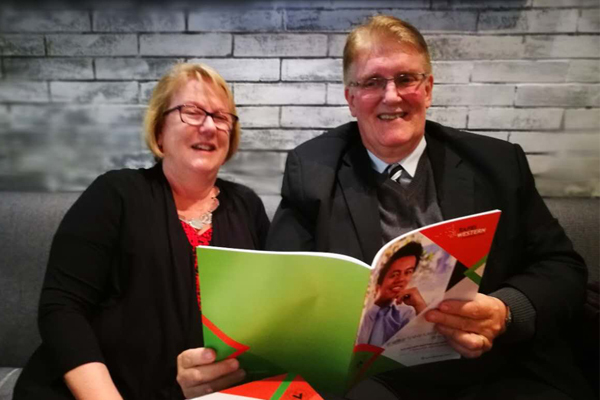 On the 28th of March 2017 RHT Education Vice-President Rob Cochrane met with TAFE NSW Regional Director Kate Baxter in Shanghai. 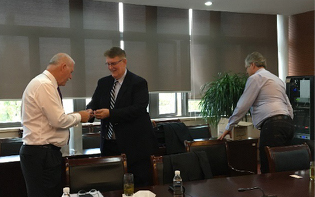 Through the course of their meeting they discussed various RHT initiatives and programs, including early learning, the Advantage Program, internships, study in China, the upcoming Special Needs Forum, and vocational education partnerships. The Wakefield Art Adventure concluded on the 10th of March 2017. 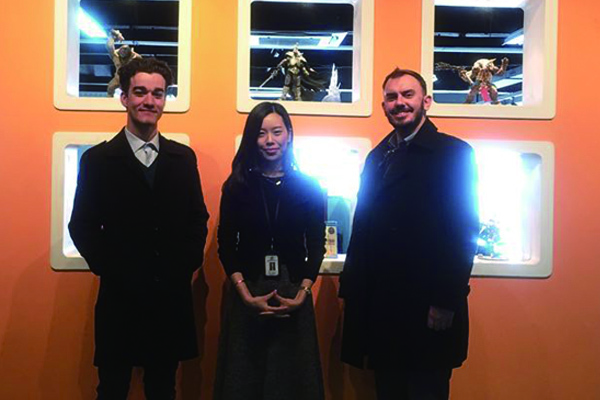 On it Students visited cultural and artistic attractions in Beijing, Xuzhou, Nanjing, and Shanghai. 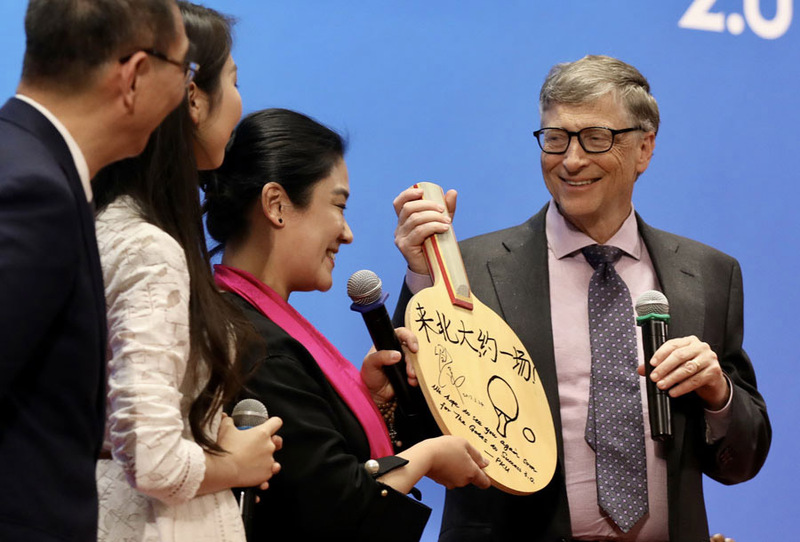 Bill Gates, former chairman of Microsoft Corp and chairman of the Bill & Melinda Gates Foundation, receives a table tennis paddle from Peking University in Beijing on Friday. Gates talked with students after delivering a speech at the university and was invited to play a game of table tennis. China will take measures to improve vocational education and raise its profile among the general public, the education minister said today. 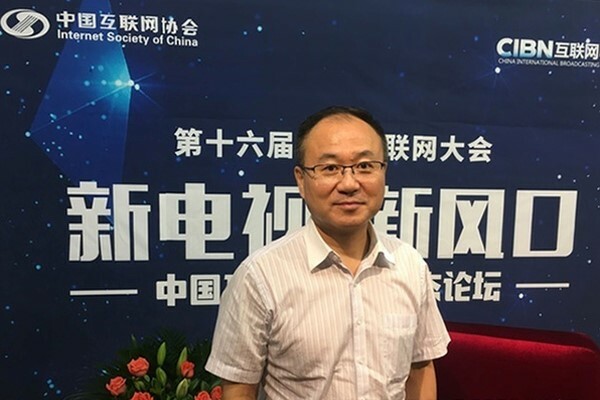 Chen Baosheng said 70 to 85 percent of the 7 million college graduates produced each year are from vocational education and they make a great contribution to the nation's development. 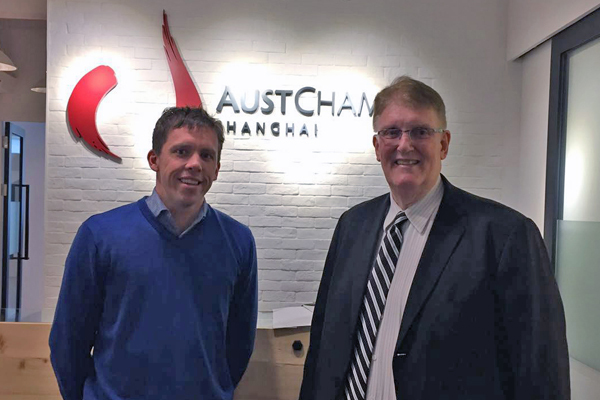 On the March 10, RHT Vice President Rob Cochrane, had a great meeting with Brett Wagner, the Senior Relationship Manager of Australia Chamber of Commerce in Shanghai. Under the purpose of developing and facilitating professional pathways for Chinese Teachers of Mandarin to be placed expediently in overseas postings, RHT vice president Rob Cochrane and Bozhan corporation manager Lucy Lu signed an agreement on 9th of March 2017. 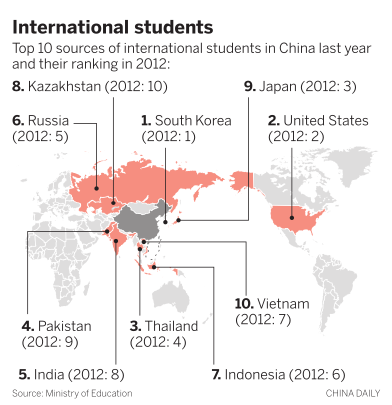 China is most popular destination for those seeking to study in Asia. The number of students studying in China from countries along the Silk Road Economic Belt and the 21st Century Maritime Silk Road has increased greatly under a series of preferential policies, education officials said. BEIJING -- China on Thursday issued a revised regulation on improving education for the disabled. The regulation, singed by Premier Li Keqiang, will take effect on May 1, 2017. 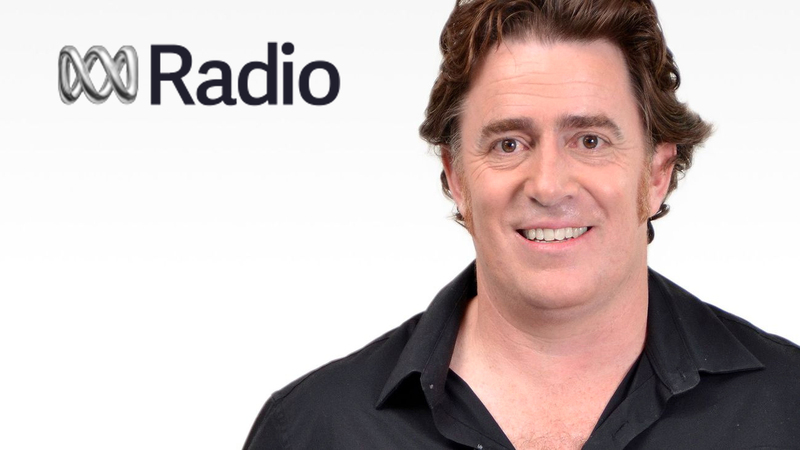 On 13th February, RHT Vice President Rob Cochrane had an interview with Australian broadcaster ABC FM with Matt Webber. 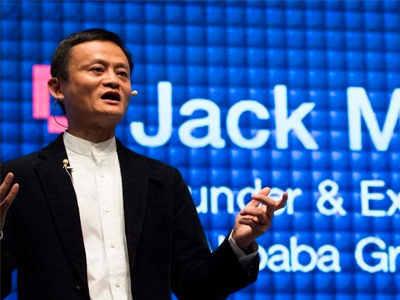 Australia's University of Newcastle (UON) on Friday announced the establishment of a scholarship program supported by China's Jack Ma Foundation. BEIJING, Jan. 19 (Xinhua) -- China's State Council has issued a plan on educational development for the 13th Five-Year Plan period (2016-2020), which aims to achieve major progress by 2020. BEIJING, Jan. 18 (Xinhua) -- The State Council, China's cabinet, has issued a guideline on private education. Today RHT Education was visited by Jonathon Shyu, Manager of the Yangyze Delta Network of AmCham (American Chamber of Commerce). During the meeting and after an introduction to RHT’s work by Vice President Rob Cochrane, Mr Shyu outlined the opportunities and services provided by AmCham to its members. On January 2nd 2017 40 students from the USA, Australia, and the Netherlands will land in Shanghai to partake in RHT’s Advantage Program. 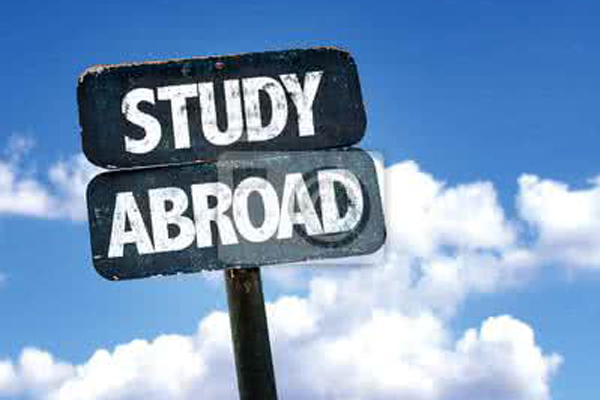 In a space of 2 weeks the students will visit multiple universities and companies in Nanjing, Suzhou, and Yangzhou. 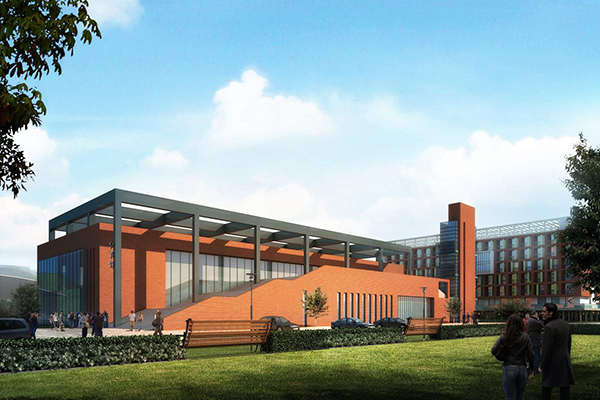 The initiative, led by the Jiangsu Provincial Department of Education (JPDE), is designed to showcase Jiangsu’s status as a leader of education and industry in China, and encourage top foreign students to study and, ultimately, work here. On the 28th December, 2016, the Internationalization of Vocational Education Symposium was hold at Jiangsu Vocational Institute of Commerce. 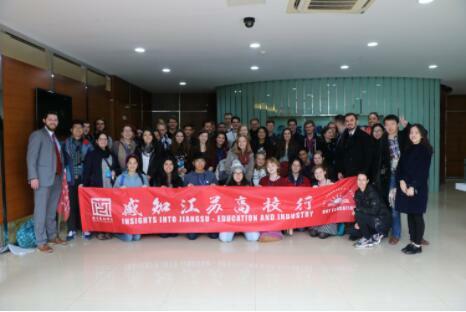 On the 14th and 15th December, an Education delegation group from North Carolina visited RHT Education Nanjing. This group include NC State Board members Eric Davis and Rebecca Becky Taylor, together with Go Global NC Directors of Education and Training Nicholas the director and Thomas Martineau. 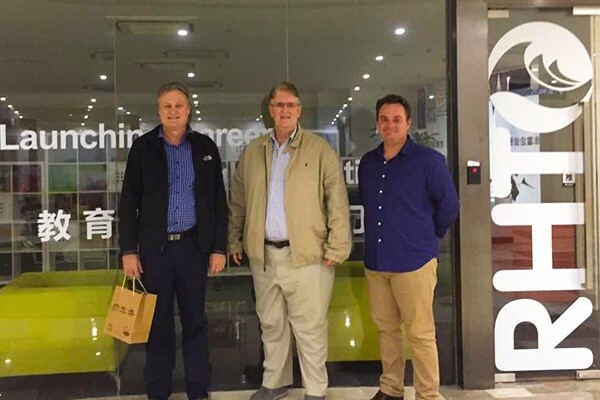 On the 1st of December, Mr. Steve Rhodes, the Assistant Principal Worldwide Operations from NPTC Group and Mr. Darren Horne, the CEO of China UK Enterprise visited RHT’s Nanjing office. The purpose of the visit was to negotiate opportunities for cooperative projects focusing on vocational education. 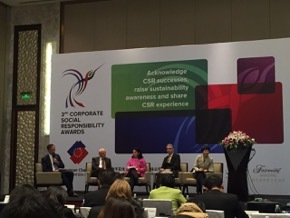 On the November 25, RHT Education attended the Nanjing Branch of the European Chamber of Commerce’ 3rd Corporate Social Responsibility Award event, hosted by Board Chair Mr. Bernhard Weber. 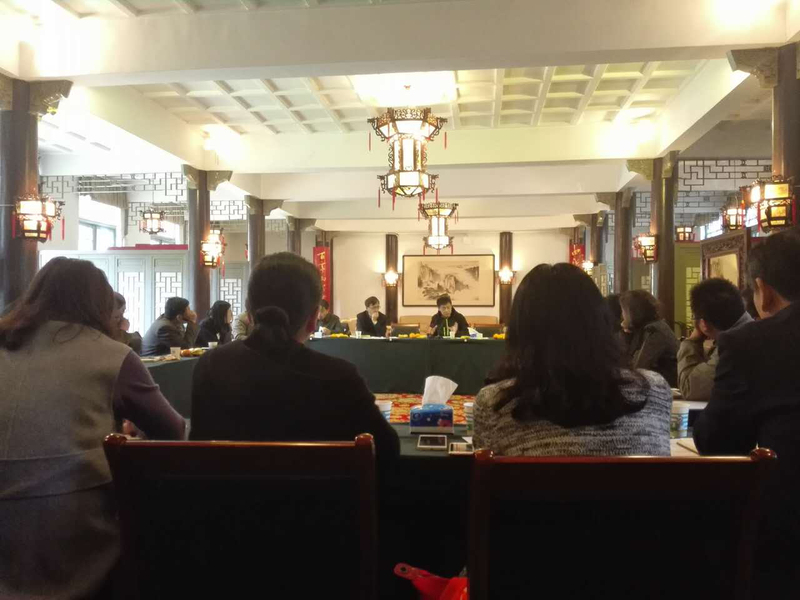 Hosted by Jiangsu Provincial Department of Education, this was a meeting of Jiangsu universities’ student management focusing on international students. 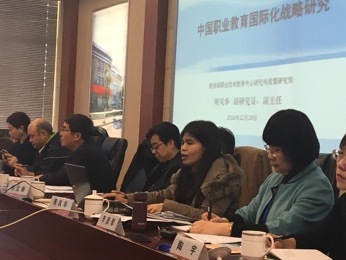 This meeting was chaired by Mr. Lin Yue, Director of the Department for International Cooperation and Exchange of the Jiangsu Provincial Department of Educational Nanjing Normal University on November 15, 2016. 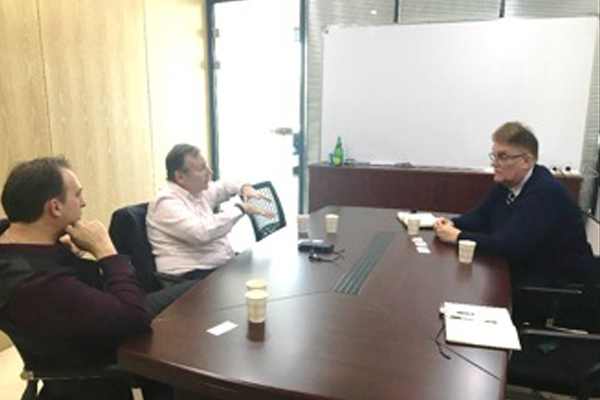 On the November 11, RHT Vice President Rob Cochrane, had a great meeting with Zhang Mei, the general manager of the European Union Chamber of Commerce in China. On the October 27, RHT Vice President Rob Cochrane, travelled to Shanghai where he met with the leadership of the Wolfert Schools Group from the Netherlands. 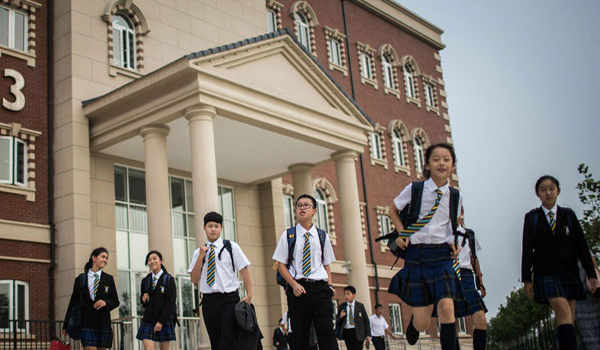 Top overseas schools are expanding their Chinese business as more Chinese parents are pursuing international education for their children, the Associated Press reports. 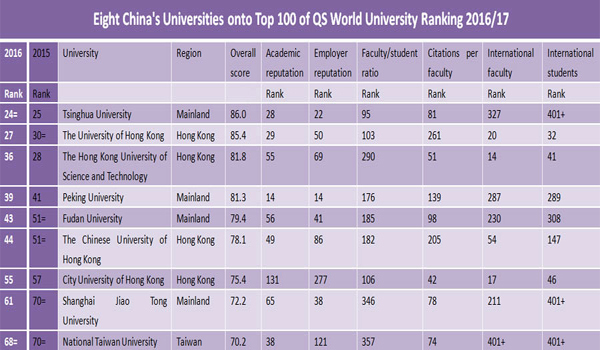 The QS World University Ranking for 2016/17, the thirteenth of its kind, was released on Tuesday with Chinese mainland universities grabbing three places in top 50 for the first time, second only to the US and the UK, chinanews.com reported. More content regarding traditional culture will be included in textbooks to nurture students' love for China's cultural legacy. 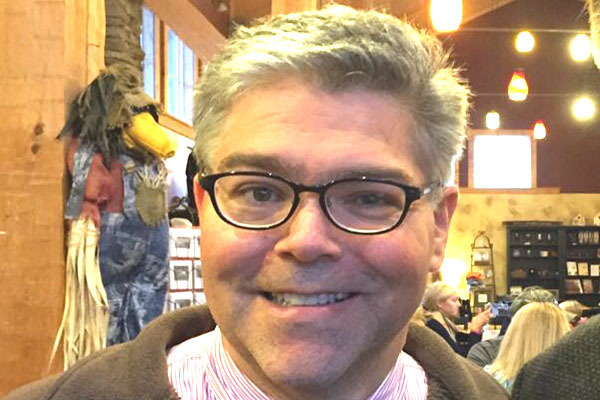 A report found that only 3.1 percent of students expecting to graduate in July said they will start their own business, down from 6.3 percent in 2015. 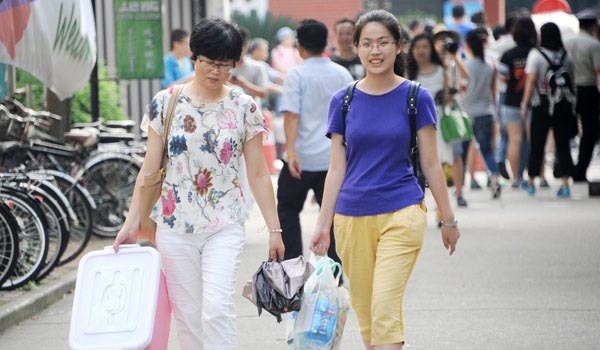 Thousands can choose to sit for national college exam in Guangdong, instead of returning home.